A video of a lion pawing at a toddler from behind a glass wall at a North Carolina zoo has gone viral — for all the wrong reasons. In the video, filmed by the child’s mother, the toddler stands and waves around in front of the glass as the lion follows her with his eyes. 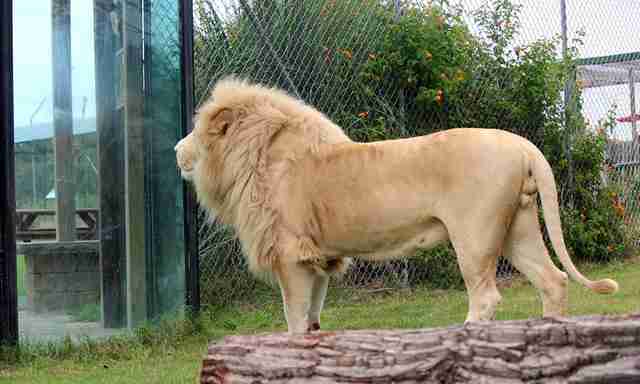 He leaps forward and paws at the glass, and then begins licking it as the toddler puts her hands up. Many who have seen the video think it’s an adorable story of a lion simply wanting to play — but animal advocates see it as anything but. Tiger World, the nonaccredited “wildlife refuge” where the lion lives, has an unnerving history of big cats breaking through their plexiglass enclosures. In 2010, a young tiger reportedly charged the plexiglass barrier in his enclosure and his head busted through as a woman with her son walked by. 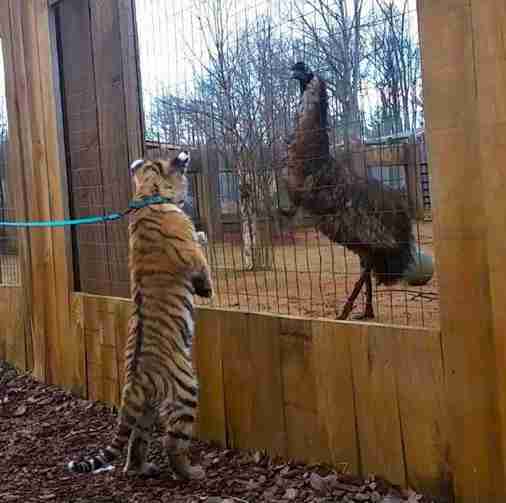 The zoo denied that the mother and son were at any danger, stating that the tiger was leashed at the time. The lion in the video, a 5-year-old male named Michael, came to the zoo in 2015. The zoo’s website states he came from Ukutula Conservation Center in South Africa — which was accused by volunteers of being involved in canned hunting, as well as breeding and renting its big cats out for parties. 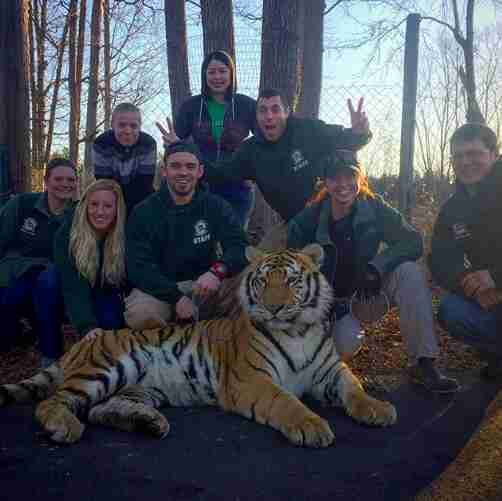 While Tiger World has a nonprofit status and claims to have rescued many of its residents, it is not a registered sanctuary or accredited by the Global Federation of Animal Sanctuaries (GFAS). The zoo was originally shut down in 2008 after its owner was cited with multiple animal welfare violations. The current owner, who worked under the previous owner for years, bought the business and changed its name soon after. Photos on the zoo’s Instagram show that the staff have regular physical interaction with the big cats, who are chained as employees pose around them — which is prohibited at legitimate sanctuaries, and by GFAS, as it places both the animals and their handlers in serious danger. Bass encourages people to make informed decisions about the animal attractions they support — and to think twice about videos of captive lions or other predators chasing people from behind glass walls. To support the continued care of rescued big cats, you can make a donation to Big Cat Rescue.